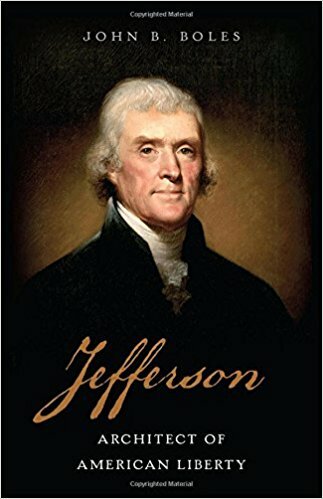 A full-scale biography of Thomas Jefferson that emphasizes his creative paradoxes and accomplishments. ...[a] magisterial biography ... perhaps the finest one-volume biography of an American president ... To his study of this deeply controversial man, Boles brings an ample supply of what has been so lamentably missing in the discussion over the past half-century: a calm insistence on separating truth (so far as we can know it) from rumor and invective, and a refusal to judge a man who lived more than two centuries ago by the moral, ethical and political standards of today ... [a] superb, utterly riveting biography. He offers a sympathetic (though not hagiographic) view of Jefferson that emphasizes the differences between his world and ours. 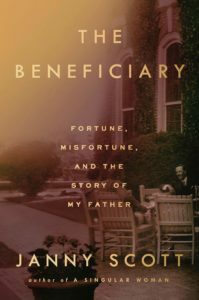 The constraints under which Jefferson lived—legal, financial, personal and intellectual—shaped his actions, Mr. Boles shows, limiting or guiding his choices and revealing them to be, when viewed in context and without today’s presumption of moral superiority, admirable more often than not, fully justifying the esteem in which Jefferson was once routinely held ... The contradictions—almost as much as the differences between past and present—make Jefferson hard to grasp. Mr. Boles’s splendid biography shows that trying to understand him on his own terms is more than worth the effort. ...[an] intensely satisfying book ... a more complex and balanced account of Jefferson than any written since Willard Sterne Randall's Thomas Jefferson a quarter of a century ago ... Boles does a particularly skillful job at weaving Jefferson's correspondence and other writings into the busy tempo of his year-to-year life, creating a fascinating dialogue on the page between the reserved and often diffident public man and direct and provocative private writer ... Less convincing – in fact, downright mystifying – is our author's persistent reluctance to assess Jefferson squarely on the subject where he needs it the most: slavery...Boles's own attempts to explain these failures are his excellent book's besetting weakness. Time and again, he introduces bizarre semi-justifications and rationalizations to soften the brutal reality of Jefferson's callous racism. What did you think of Jefferson: Architect of American Liberty?